Police Misconduct? No, Police Aren't Meant To Be Above The Law. On behalf of Admin of JML Law, A Professional Law Corporation posted in Police Misconduct on Wednesday, Aug 29 2018. 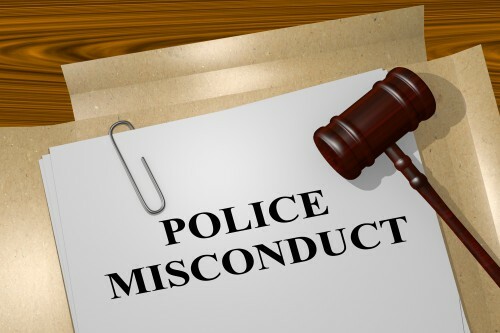 The term ‘police misconduct’ generally includes any illegal or inappropriate police conduct related to his or her execution of police duties. Police misconduct may or may not be occurring more frequently than in the past, but as cell phones, dash cams, and body cams increasingly capture police misconduct, and society becomes more aware of these common injustices, there have been more people coming forward with claims of police misconduct. Police Officers are not meant to be above the law and bad actors should be held accountable. Excessive use of force is a common complaint of police misconduct and occurs when police officers’ use of force is unreasonable under the circumstances. You must take a look at the totality of the circumstances to determine whether or not the force that the police officers used was reasonable for the situation. Excessive use of force claims include actions such as improper/unjustified shootings and weapons use, beatings, and wrongful death caused by police. As people become more aware of their rights and public support increases for victims of police misconduct, people are more frequently coming forward with other claims of police misconduct such as sexual harassment/assault, making false reports, discrimination, and intimidation. It’s important to remember that even if you were doing something wrong or illegal, police misconduct does not get a pass. Your civil and constitutional rights don’t just disappear when you’ve been caught in a compromising situation. If you feel like you have been subjected to police misconduct, let JML Law look at the facts of the case and the police conduct involved to help you understand your legal rights and whether or not they were violated. Gone are the days of taking a police officer’s word as the whole truth and nothing but the truth, especially in California. Proposed legislation in California called the Police Accountability and Community Protection Act is evidence that lawmakers are hearing citizens’ concerns and complaints. If the proposed legislation is passed, it will tighten the use of lethal force guidelines so that instead of questioning whether it was “reasonable” to use lethal force, the standard becomes whether it was “necessary” to use lethal force. And that is no small distinction as the standard goes from whether or not it seemed reasonable under the circumstances to whether or not it was necessary, meaning the officer had no other option but to use lethal force. It also shows that California’s citizens and lawmakers want more accountability for police and more protections for police misconduct victims. You do have a right to be compensated for injuries sustained as a result of police misconduct. In fact, according to a recent LA Times report, the City of Los Angeles has spent more than $190 million dollars for police misconduct payouts in the past 13 years. Evidence from dash cam and body cam footage, police reports, witness statements, and victims statements can help put together the pieces of the police misconduct puzzle. If you have been injured as a result of police misconduct, contact our Anaheim police misconduct attorney, Jared Beilke, who will vigorously pursue your claim to see that you are fully compensated for your injuries.